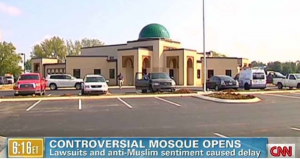 Americans better start paying attention to the issue of Islam staking it’s claim in the USA with new mosques popping up in very unlikely places. Is Islam a religion or a political agenda or a hybrid? Crisis Magazine has given us a good article that should wake us up. “President Erdogan, who is rapidly turning Turkey into a Caliphate, once said that “Democracy is just the train we board to reach our destination.” Is religious liberty also a train that Islamists ride until they reach their stop? “That’s an increasingly urgent question now that mosques are popping up all over the landscape of Europe, Canada, and the U.S. Are the mosque-builders genuinely committed to religious freedom for all, or is religious liberty merely a vehicle for increasing the power of Islam? After all, in those countries where Islam is firmly in power, there is little or no religious liberty for non-Muslims, and the liberty of Muslims themselves is severely restricted. They are not, for instance, free to leave Islam. For the whole article read here. Today (Monday) I will be on the radio with Gary Michuta at 1 PM at https://virginmostpowerfulradio.org/. Hope you can listen in. Well, maybe he was and maybe he wasn’t, but the Bible certainly throws some question on this well-known Protestant cliché. Let’s find out how and when Abraham was really “saved.” Fundamentalist Protestants like to tell us that we are saved at “one-point-in-time when we “simply believe.” In other words mental assent to the simple gospel gives us a free passage to heaven. Since Abraham is used in the New Testament as the quintessential example of justification by faith, let’s see if we can pin-point the moment when Abraham believed? Can we locate the exact moment he was “saved”? 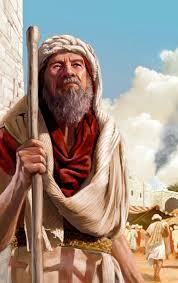 Since this was such a momentous occasion in the history of mankind, and in the drama of salvation history, it should be clearly shown when Abraham actually believed and was reckoned as righteous. 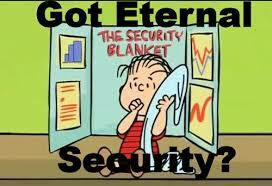 From unbelief to belief, from no faith to saving faith. Protestants (e.g., John Ankerberg in Protestants and Catholics, Do They Now Agree? [Eugene, OR: Harvest House Publ., 1995) like to say the word “justify” as used by James really means “vindicate,” and that “vindicate” has nothing to do with salvation, but has to do with the proving of the believer’s faith—Abraham’s faith. You really should have addressed the major weakness of this perspective: it is not the faith that is being justified by works—it is the man. How can we justify this? If our theory holds true shouldn’t we read, “Was not Abraham our father’s faith justified (vindicated) by works?” making it clear that it is his faith, and not his person. Instead we read, unfortunately, “Was not Abraham our father justified by works?” This observation does not set well with our interpretation. Somehow we have to more careful in this theory, or else we end up scratching a few verses out of the story of Abraham in Genesis. 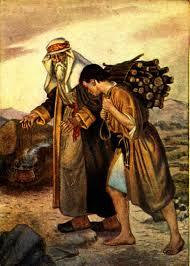 Was it men who were testing Abraham’s faith? The book of Genesis says, no. 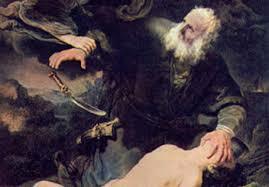 It was God who was testing Abraham in Genesis 22, not men. You write that James is referring to justification before men (p. 37), because God can already see the heart. I noticed in reading James & Peter, by Harry Ironside, that he agrees with you on this point. But the problem seems to be that it was God who was testing Abraham in Genesis, because Moses wrote, “Now it came about after these things, that God tested Abraham . . . ” (Gen. 22:1) Notice it was not men who were finding out what was in Abraham’s heart— whether he had true faith—it was God. For the whole article, click here. 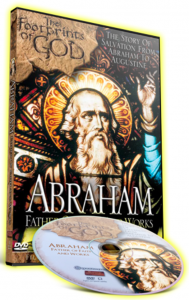 To learn more or purchase our documentary on Abraham filmed in Iraq, Turkey and Israel, click here.